This entry was posted in Movies and tagged Ben Hardy, excellent, Gwilym Lee, Jospeh Mazzello, loved it, movie reviews, movies, Music\, Queen, Rami Malek, Tom Hollander. Bookmark the permalink. I’m excited to see this too. Tell me, do they do a rendition of Seven Seas of Rhye? That’s my favorite Queen song. Finally, some positive thoughts about the film despite the negativity surrounding it! Pffff. People just love to criticise. This movie was a lot of fun! I enjoyed the performance by Rami Malek. 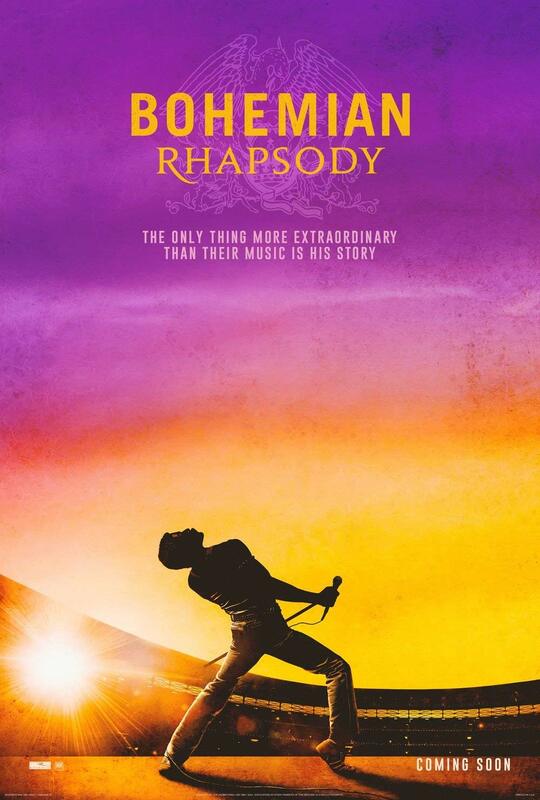 It was entertaining and who cares about the holes as “music biopic”. The music reminded me why Queen was so original and awesome. He was very good. Thank you! I was there for fun and music. Totally delivered.